Whos your favirte couplr 또는 none couple in 별, 스타 wars? what do 당신 think of Anakin and Padme as a couple? 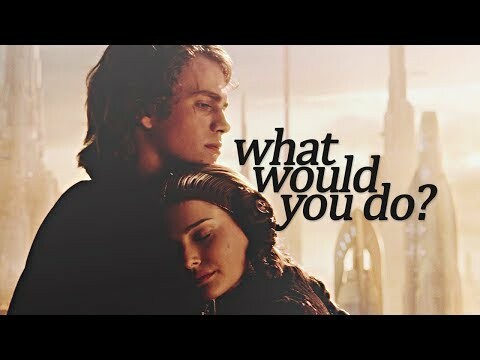 would 당신 have pushed padme away and married anilin????? Will 당신 가입하기 BEN SKYWALKERS spot? Will 당신 가입하기 MARA JADE SKYWALKERS spot?? Do 당신 think this is true? P: I brought 당신 something. Are 당신 hungry? 당신 are not all-powerful, Ani. I knew 당신 would return. I knew it! C: Bless my circuits! I’m so pleased to see 당신 both. P: 당신 had another nightmare last night. I saw her as clearly as I see 당신 know. A: Sure 당신 do. 당신 just don’t want to tell me. P: Are 당신 going to use one of your Jedi mind tricks on me? She knew that her future with Anakin was going to be difficult but she had faith that their strong 사랑 would get them through anything. As she was getting nearer to the sitting room she took off her black 레이스 숄, 목도리 that she had draped around her shoulders and folded it in her arms. The Anakin Skywalker Fangirl 팬 Club spot needs members and content. 가입하기 us, girls! a poll 추가되었습니다: Who is the most beautiful? 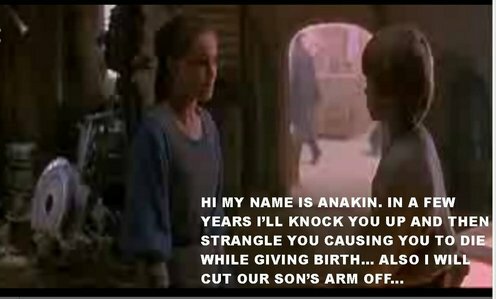 a comment was made to the poll: My 15 가장 좋아하는 Anakin & Padmé scenes. (All 영화 + CW serie) Which one is yours? Do think they should make a 7th 별, 스타 wars movie?